When booting to the graphical desktop fails we sometimes are recommended to boot into a "root shell" or to boot in "recovery mode". During boot press and hold the left Shift key or any other key. 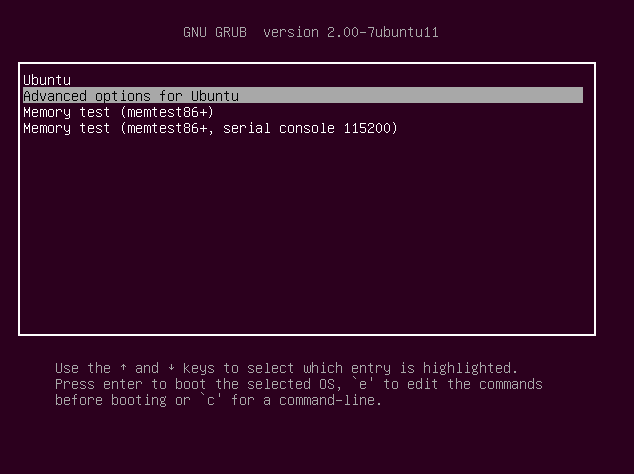 This will bring up the Grub2 menu from where we can select "Advanced options for Ubuntu". This will lead us to the advanced options. By selecting "Enable networking" we gain access to our network and the internet for upgrades or downloads, and we will also mount our hard drives in read/write mode in case we need to edit files. Note that we are root in this shell. Hence no sudo is needed for administrative tasks. This also means we have full access to all files, and we may cause irreversible damage to our system if we made a mistake. If we had not enabled read/write access with "Enable networking" the filesystem will be mounted read only, and we are unable to edit files. From the root shell type exit to go back to the menu. During the boot process of the computer we press and hold the left Shift key. This will bring up the Grub2 boot menu from where we can select "recovery mode" (usually the second boot entry). Choose "Resume normal boot" to proceed booting as usual. 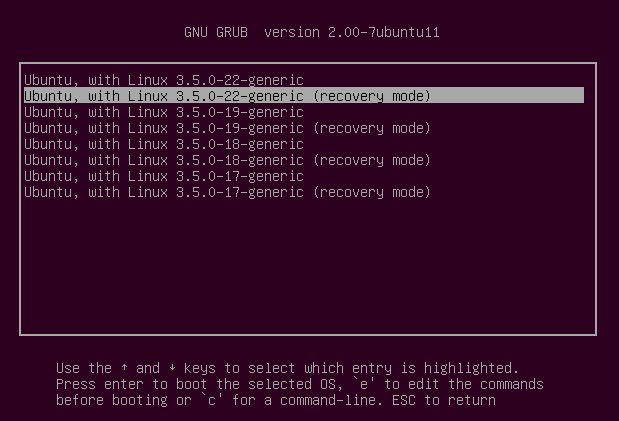 Note: see this question for a solution when the Grub recovery menu does not load the shell. Not the answer you're looking for? Browse other questions tagged boot grub2 root recovery-mode or ask your own question. How to Enter into Recovery mode? Blank screen after rebooting the computer. How to boot to command prompt to fix the problem? How do I display the whole desktop in Virtual Box fullscreen mode? 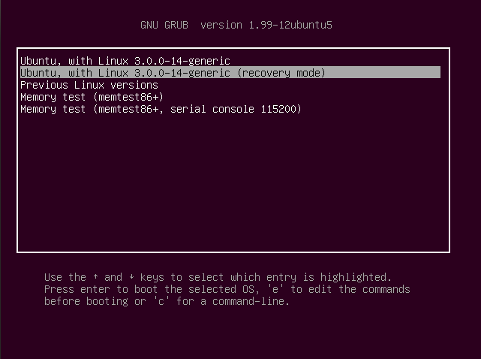 How to boot to root shell when GRUB recovery menu fails to load a shell? How to boot into Single-User recovery mode? How can I access my desktop from root shell prompt in recovery menu?